"Who the hell are YTL?" That was the headline on Britain’s Daily Telegraph when YTL Corporation bought English utility firm Wessex Water, a bold £1.2 billion (S$3.6 billion) on 2002. 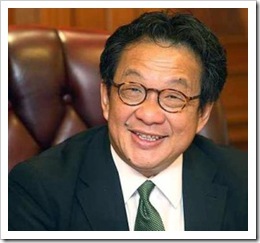 Tan Sri Dato’ Dr. Yeoh (Francis) Sock Ping serves as Managing Director and Executive Director at YTL Corp Bhd. He was appointed to the Board on April 6, 1984 as an Executive Director and has been the Managing Director of the Company since April 1988. Tan Sri Francis studied at Kingston University, UK, where he obtained a Bachelor of Science (Hons) in Civil Engineering and was conferred an Honorary Doctorate of Engineering in 2004. He became the Managing Director of YTL Corporation Berhad Group in 1988 which under his stewardship, has grown from a single listed entity into six listed entities ie. YTL Corporation Berhad, YTL Power International Berhad, YTL Cement Berhad, YTL Land & Development Berhad, YTL e Solutions Berhad and Starhill Real Estate Investment Trust. He is presently Managing Director of YTL Power International Berhad, YTL Cement Berhad and YTL Land & Development Berhad, all listed on the Main Market of Bursa Malaysia Securities Berhad. Tan Sri Francis is also the Executive Chairman and Managing Director of YTL e-Solutions Berhad which is listed on the ACE Market of Bursa Malaysia Securities Berhad, and YTL Starhill Global REIT Management Limited, which is the Manager for Starhill Global REIT, a vehicle listed on the Main Board of the Singapore Exchange Securities Trading Limited (SGXST). Besides the listed entities in YTL Group, Tan Sri Francis also sits on the board of several public companies such as YTL Industries Berhad, YTL Foundation and the prominent private utilities companies in United Kingdom, Wessex Water Limited and Wessex Water Services Limited. He is also a director and Chief Executive Officer of Pintar Projek Sdn Bhd, the Manager of Starhill Real Estate Investment Trust. He is a Founder Member of the Malaysian Business Council and The Capital Markets Advisory Council. He is also a member of The Nature Conservancy Asia Pacific Council, the Asia Business Council and Trustee of the Asia Society. Learn more about Tan Sri Dato’ (Dr.) Francis Yeoh, Group Managing Director of YTL Corporation Berhad from the videos below. Kuala Lumpur City Hall presents to you "Kuala Lumpur My City" which offers a refreshing view of the city from a few different perspectives – depicting the many facets and people of Kuala Lumpur, from the business community, to recreation, entertainment, sports, arts, culture and tradition. This entry was posted on Monday, January 30th, 2012 at 11:46 am	and is filed under Inspiration. You can follow any responses to this entry through the RSS 2.0 feed. Both comments and pings are currently closed. THE newly expanded library and cyber centre of Methodist Girls’ School (MGS) in Penang, will be named after the late wife of YTL Corporation group managing director Tan Sri Francis Yeoh. The new library and cyber centre, which will be officially opened on March 3, will be called ‘The Puan Sri Datin Paduka Rosaline Library & Cyber Centre’. A dedication and thanksgiving service to remember the late Rosaline was held by the MGS Board of Governors committee in line with their pledge to express their gratitude to Yeoh and his family for a personal donation of RM500,000 to the school in conjunction with MGS’s 121st anniversary celebrations this year. MGS Board of Governors chairman Datuk Kee Phaik Cheen said that the expansion and upgrading of the school’s facilities were made possible by the donation from the Yeoh fa-mily. “This dedication and thanksgiving service to remember Rosaline is the board’s way of saying thank you. “Previously, only our secondary school has a cyber centre. Now with more funds, we have built a cyber centre for the primary one as well. We have expanded both the primary and secondary schools’ libraries where both have a second floor now,” said Kee. Held under the theme of ‘Remembering Rosaline’, the dedication and thanksgiving service also saw the lighting of ‘The Rosaline Wall’, a wall at the entrance of the secondary school’s library by Yeoh. Adorned with a simple decoration of a ‘tree of knowledge’ and lights to brighten up the ‘tree’, the wall also featured Rosaline’s favourite bible verse, Psalm 23. “The Rosaline Wall is also another way to thank the Yeoh family. We hope that the wall can inspire others to remember their own loved ones,” said Kee during the service at the school on Anson Road on Saturday. Speaking during the service, Yeoh reminisced joyous moments he and his children used to have when Rose, as Rosaline was fondly known to Francis, was still around. “Rose was a wonderful wife and mother to our five children. She left Hong Kong to come to Malaysia with me although she was a famous star there. “Back then, YTL Corp was still small and she had a dream to build a family and company. I would like to thank all of you for all your (kind) thoughts about Rose. I am deeply touched by the people who came here to witness this service to remember her today,” said Yeoh. A string quartet from Musica Sinfonietta was also seen playing two of Rosaline’s favourite songs entitled ‘Sacrifice’ and ‘Nella Fantasia’ during the service. Rosaline, a Hong Kong television personality, died in a Singapore hospital in Aug, 2006, after battling breast cancer for seven years. She was 54.